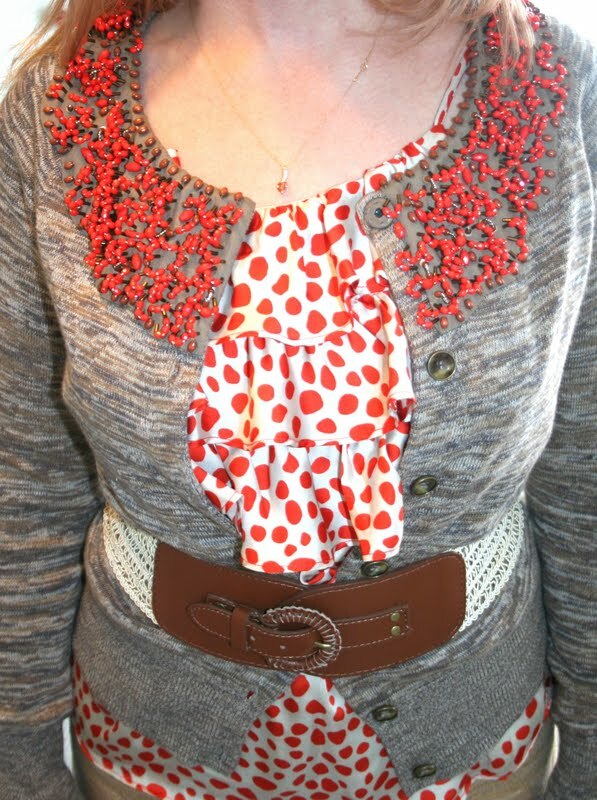 Tricia's Take: OOTD- Jewelers choice! I love the combo! That cardi is so gorgeous. I wish I could have found it in my size! Ugh, Aunt Flow. She always manages to make life so uncomfortable sometimes. I love your look here, though! The speckled top is wonderful with the cardigan, and the pop of yellow from your shoes is so darling! 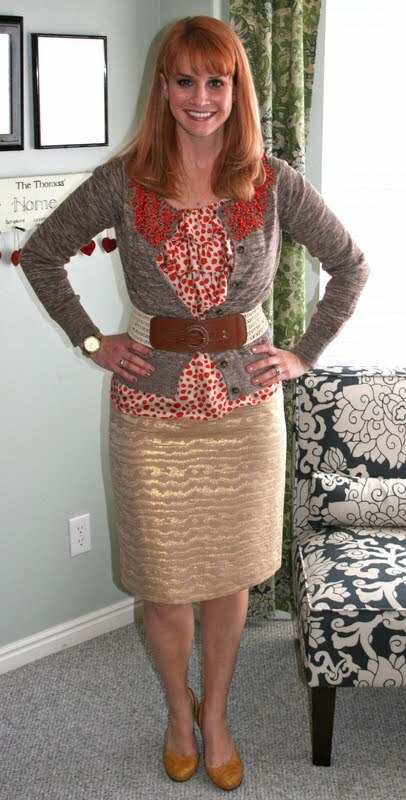 OOh, the cardi looks great belted! Gorgeous! I love this whole look! Cute...I really love that cardigan!! SO super cute! I love that tank and cardigan together! So beautiful, Tricia! I totally used the belt to cinch in my bloatedness this weekend, too. It's amazing what some cinching can do for your Aunt Flow mood. What's up Tricia!! I'm prego and at the fat stage so I'm wanting to load up on the maxi dresses. What size did you get from F21? I'm glad I get a dose of Tricia through your blog! Stef- I got a medium in my maxi's. I have found that they actually fit pretty TTS. You could size up if you get big up top but if I remember right and I do you only look pregnant about a month before you deliver!!! I am loving the color combo here...the yellow pumps are perfect! I adore that tank...too cute! So I got my F21 order today...the lace dress was about 2 inches too short...boo! I also picked up that black Ikat Maxi you got and LOVE it! It's perfect! Keep sharing any great F21 finds you come across...loving them!